"Installation of new staff. Aug 31, 1979." Installation of new staff. Aug 31, 1979. Installation of new staff. 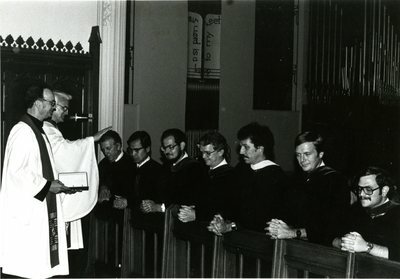 August 31, 1979 at Concordia Seminary.